Like the uprising of the ‘deplorables’ against globalisation that accounts for Donald Trump’s election and Brexit, are ‘peasant states’ now rebelling against the geopolitical heavyweights? The former dominate the 193-member UN General Assembly (UNGA), while the latter are the five permanent members (P5) of the 15-member UN Security Council (UNSC). Connecting the dots across three recent events allows us to discern what’s possibly one of the most significant structural shifts in world politics in decades. 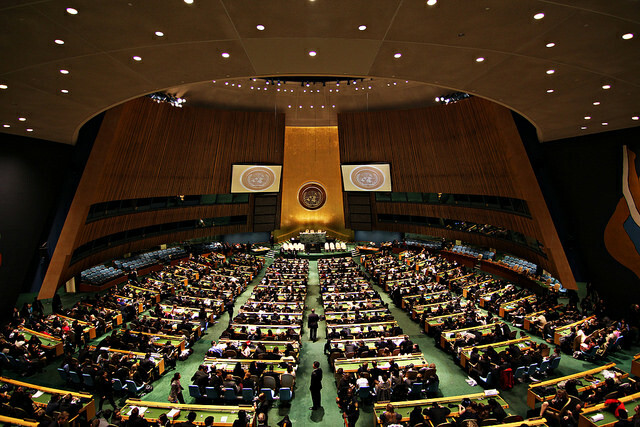 In 2016, UNGA claimed a role in selecting the secretary-general (SG) for the first time. On all previous occasions it had simply rubber-stamped the UNSC choice. 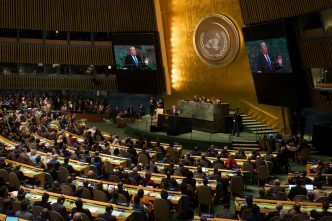 On 11 September 2015, UNGA adopted a resolution incorporating key reforms to the selection procedure. 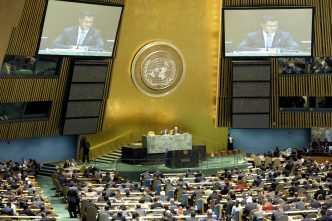 In 2016, UNGA arranged public sessions for all member states with potential SG candidates, believing that the UNSC couldn’t completely ignore the international community’s wishes. After six rounds of informal polls and the most transparent and inclusive selection process in UN history, on 5 October all UNSC members together announced their agreement on António Guterres as the new SG. Denmark’s Mogens Lykketoft, the 2015–16 UNGA president, initiated most of the key innovations. He believes it was a game-changing process that will prove difficult to reverse. It allowed member states to learn about the candidates’ personalities and their priorities. The general sentiment in UN circles afterwards was that without the UNGA-driven innovations, Guterres would not today be the ninth SG. The second example is the nuclear ban treaty adopted on 7 July by 122 states despite a boycott of the negotiating conference and fierce lobbying against it by the P5 nuclear powers. 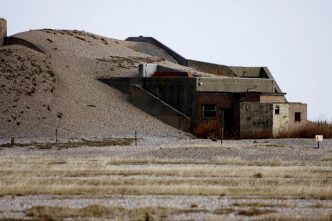 The latter warned that the ban treaty would damage the Nuclear Non-Proliferation Treaty (NPT), which embeds their preferences in creating a world of nuclear haves and have-nots. The ban treaty was an assertion of normative leadership by the majority of states and thus also a declaration of independence by UNGA. 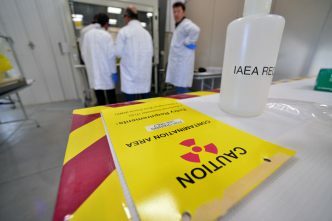 The treaty stigmatises and prohibits the bomb for all countries, even though only the bomb-possessing states can take practical measures to eliminate nuclear warheads and terminate their nuclear-weapon programs. Thus the NPT and the ban treaty embed the geopolitical and normative balance of power—49 years apart—of the nuclear haves who control the UNSC and the majority have-nots. The latter have the numbers in UNGA in today’s multipolar world to reframe the challenge, set the agenda and control the narrative. In the most recent example, six candidates contested five vacancies on the International Court of Justice (ICJ), whose 15 judges serve renewable nine-year terms. The procedure requires a majority vote in both the UNSC (without veto) and UNGA. India had re-nominated sitting judge Dalveer Bhandari, who was expected to face off against Lebanon’s Nawaf Salam in the Asia group. But in the fifth round of voting on 9 November, to general surprise, candidates from Lebanon, France, Somalia and Brazil received majority support in both chambers and were duly elected. That left Bhandari in an unprecedented runoff with the UK nominee, Sir Christopher Greenwood, who too was seeking re-election. Every P5 country has always had one judge on the ICJ. In self-interested solidarity with a ‘humiliated’ UK, they swung behind Greenwood. He had received majority support in the UNSC but had fallen short of the two-thirds threshold in UNGA. Part of his baggage is his legal justification for the 2003 Iraq war, which in 2017 wasn’t helpful. Six rounds of a Bhandari–Greenwood contest confirmed their respective support: with 121 votes (and rising) in UNGA, Bhandari was close to the two-thirds threshold (128), against only 68 votes for Greenwood (and falling). But Greenwood was supported by nine of the 15 UNSC members (P5, Italy, Japan, Sweden and Ukraine). Thus Greenwood’s support base was the geopolitical heavyweights and the global north in the UNSC, and Bhandari’s the rest who have numerical preponderance in UNGA. India capitalised on the resentment that 29 countries of the Europe group hold five judgeships but Asia and Africa, with 54 countries each, have only three judges each. A vote for Bhandari, India argued, would help redress the north–south imbalance. Where once the sun never set on the British empire, slowly but surely it may be setting on the era of P5 privileges. Good night the P5, good morning the world. Ramesh Thakur is a professor at the Australian National University and co-convenor of the Asia–Pacific Leadership Network for Nuclear Non-Proliferation and Disarmament. Image courtesy of Flickr user IIP Photo Archive.